London framebuilder Jon Davis sees himself as one of a new generation bicycle enthusiasts-turned-craftspeople. London framebuilder Jon Davis sees himself as one of a new generation bicycle enthusiasts-turned-craftspeople that’s cropped up in the past four or five years to take the place of an old guard of British craft builders that has retired or otherwise dropped out of an always-tough business. 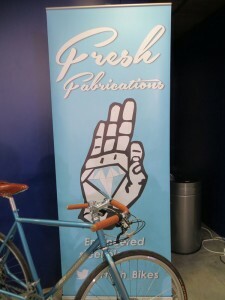 As the crowd at Bespoked suggests, there is certainly a resurgence of interest – from makers and customers – in handbuilt frames and in the steel construction that is so natural to small shops like Davis’s Fresh Fabrications, to whose output he gives the tagline, “engineered steel bicycles”. And, this new generation is certainly getting some help from the broader resurgence of interest in cycling, for sport, recreation and transport. 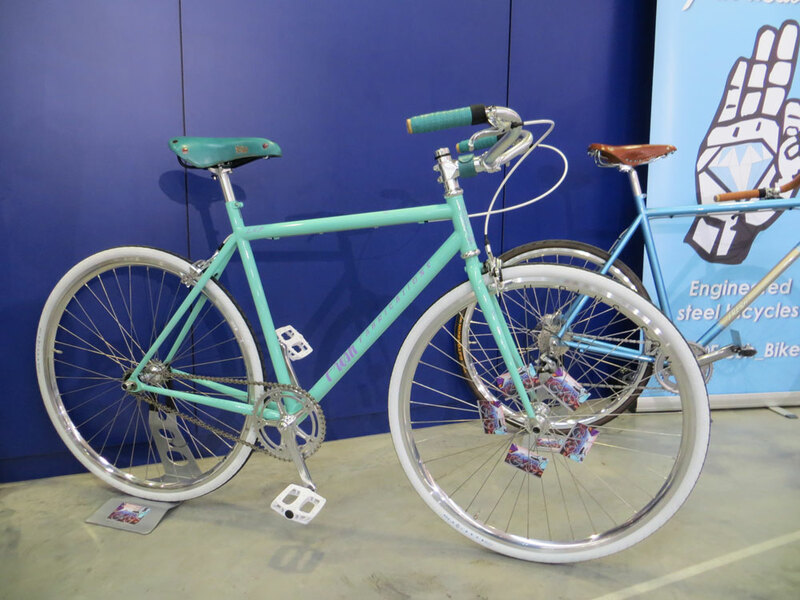 But like so many of his peers exhibiting at Bespoked are quick to point out, the bicycle business has always been a boom-or-bust game, and Davis is under no illusions about the fragility of the cycling revival. “We need something to glue it down,” he says – and to his mind that something is more competition. Simply, says Davis, if there were more craft framebuilders there would be more attention focussed on small and up-and-coming artisans. That, he readily offers, means his business would face more competition – but it would also mean he and his competitors could operate in a more stable business environment, with greater demand and hence higher, more regular, volume. Meanwhile, Davis would like to see more shows like Bespoked to supplement his “advertising” via channels like twitter and word-of-mouth “organics”.